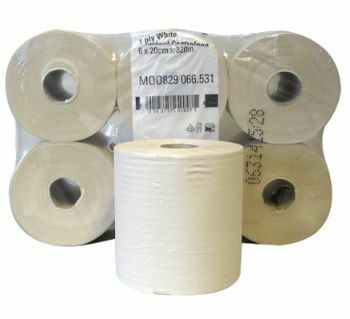 Made from thick 2 ply recycled white paper, these centrefeed rolls have a multitude of use's however are mainly used for wiping and drying. The centrefeed roll can be often seen in catering kitchens, schools and petrol forecourts this is due to its great absorbency. This is a very efficient and cost-effective product.